The first prize went to the project "Biodegradable plastics from renewable natural raw material" from a company called "Our lab." We are talking about the production of self-reactive plastic bags, packaging, disposable tableware and similar things, stated in the presentation of the company. To do this, "Our lab" need 8,000,000 rubles in the first stage. Second place was shared development "Fiber temperature measurement system" and "water treatment systems." The winners of the forum and another two projects will participate in the federal stage of the "Business innovation" prize fund of 3,000,000 rubles. Field of activity: development and production of biodegradable plastics. Development and production of biodegradable plastics based on natural raw materials available in the domestic market (for packaging, disposable tableware, bags). 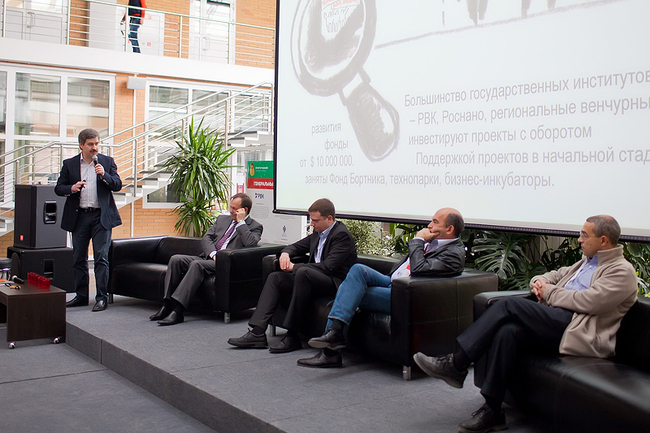 February 2011 — the creation of the company "Our Laba", the company is a resident of Technopark of Novosibirsk Akademgorodok. 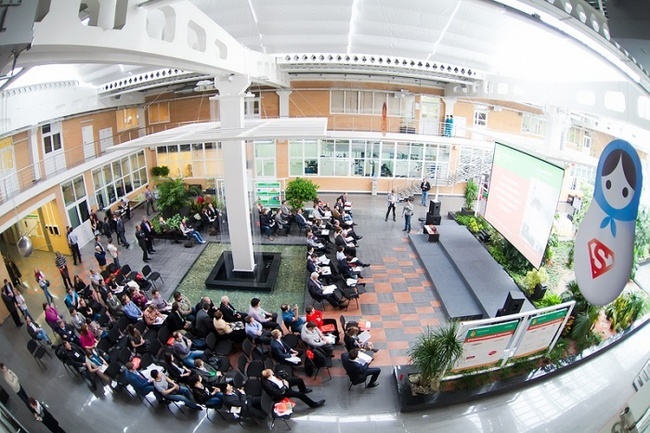 March 2011 — the company is supported by the program "Start"
March-April 2011 — R &D on the development of a biodegradable polymer material formulation. Innovative component: Preparation of polymeric materials from biological sources in the last decade is one of the most urgent tasks. The problem of waste disposal is acute in all developed countries, so the search for its solutions are actively being sponsored by both public and private organizations. Additional impetus to research gives perspective to reduce dependence on plastic from oil and gas. Thus, the presented project is at the forefront of world science and technology of polymer materials. According to the results of the project will be developed and introduced the technology of biodegradable polymeric material composed of natural ingredients that are safe for the environment and for human beings. Will be possible to replace traditional plastics in the manufacture of packaging and disposable tableware. By decomposition of the polymer material developed under natural conditions in the safety components will be partially solved the problem of disposal of household waste. In traditional replacement plastic such materials may be used in biology and medicine (soluble yarn temporary prostheses dosage drug delivery). Thus, the innovation component of the project is the development of production technology of the modern "green" plastic, corresponding to the world standards. Originally scheduled to start production with a small amount of staff (5 — 10). In the future — expanding the range of biodegradable plastic, integration with other groups working on this topic, create bioplastics industry with a large number of people employed. Landfill waste not adorn modern cities and make them more comfortable for the residents. The dream of the city authorities, and ordinary citizens to trash simply disappeared. Most of the waste is plastic packaging. Our company offers a material suitable for the production of disposable tableware and packaging, which "disappears" after use and do not harm the environment. With its massive use of plastic instead of the traditional life will become much more comfortable by reducing the amount of household waste and expensive lands occupied by landfills around the city.